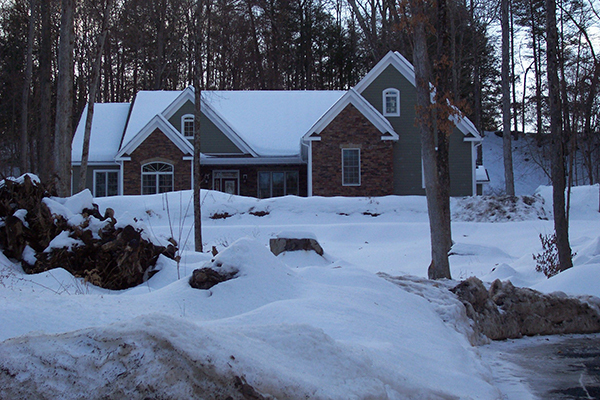 Peak worked together with the client to design a new 4-bedroom home in the Town of Marbletown, Ulster County, NY. Peak provided building plans to obtain building permits and for construction purposes. This home features multiple gables for visual interest across the front of the house, plenty of windows to let in the sunlight, and cathedral ceilings throughout.